There's a new dice-rolling game on Kickstarter! Do you have what it takes to claim the King's Forge and become the greatest blacksmith in all the land? Let's see what this game is all about! You are trying to be the first player to craft four items for the king. If more than one player accomplishes this feat on the same turn, whoever crafted the highest-valued item wins. Everyone gets a Storage card and five black Metal dice. Set out the four Black Market cards. Then you'll choose which Craft cards to use in the game—between 9 and 13, depending on the number of players. You sort them according to their worth (a number between 1 and 48), place the three least-valuable ones out on the table, and then put the rest of the cards splayed out above the three low ones, with the dice icons visible to all. Then take the 18 Gather cards, separate out the two Mine cards and the two Forest cards, and then shuffle the remaining cards and choose seven randomly. Place them facedown in a pile near the Black Market cards. These are complex and a key part of the game, so they deserve their own section. Gather cards are unique cards, each with an upper and lower half. When you claim one of these cards, you'll choose which half you're going to do on that turn and "pay" a number of dice, depending on the card. The Gather cards have squares on them. White squares mean you can choose any die to fulfill that. A green square means you can only use a green die to pay for that square. A red is just like green—only red!! And a square that's half blue and half red means either color will work. So one card might have you paying any one die to get a black die. Or another might have you paying two green dice to get a red die. Or yet another might have you pay two dice (one of which you'll lose forever) in order to change any 1s rolled to 6s. There are also Black Market cards. Every dice spent here is lost forever, but it will allow you to get that green or red die you desperately need. Crafting cards have a number of dice on the bottom (between 1 and 6), of differing colors. Each die on the cards has a number on it as well, and that's the minimum number you need on that color in order to craft that item. So the lowest-valued item (the Anvil) takes three black dice and at least 2 on each in order to craft it. The Battle Axe takes a black 4, black 5, black 6, green 4, red 4, and blue 4. The game is divided into two phases: the Gather phase and the Crafting phase. First deal four of the Gather cards face-up to the center of the table, and then each player grabs any dice on his or her Storage card. Take a Black Market Action and ditch a Gather card. To take the Gather card, you just pay for it with the required dice, and place it in front of you. (And if you get any dice from the action, you grab the dice and put them on your Storage card. You'll get them next turn.) Then you deal out a new Gather card and it's the next player's turn. If you take a Black Market action, you pay for it, grab the dice and put them on your Storage card for next turn, as normal, and then you choose and discard one of the face-up Gather cards. Or you can pass. If you're the first person to pass, you get to choose either a black die and add it to your current pool of dice. Or you can grab a "+1/+1" token, which allows you to add 1 to two different dice during the upcoming Crafting phase. The dice you start the turn are all you use over both phases, so it could be that you don't want to gather anything and only craft, or vice versa. But those dice are it. That Gather phase if over if everyone passes, or if there are no more faceup Gather cards and at least one person has passed. In the Crafting phase, each player in turn order rolls the remaining dice he or she has, manipulates them if possible (due to Gather card abilities or tokens you might have), and then tries to craft an item. You have to have the correct dice colors with the correct (minimum) values in order to attempt it. Editor's Note: In our video review we were playing a rule wrong. In the rules-set we received, it said in one spot that you could only craft one item, and in another that you can craft as many as you want. We only noticed the "one craft" rule, so we playing that incorrectly, and mentioned that incorrectly in the video. Please forgive us. And play correctly. A player further down in order could also steal the item from the player who stole it from you! After everyone has a chance to craft or steal, you reset things, gather back your dice, and shuffle up the Gather cards and start a new round. The first person to craft four items (you play through the full Crafting phase) wins. If more than one person accomplishes that on the turn, whichever of those people who crafted the item with the highest value wins. Firestone—This is a good game! I'm not a big fan of dice-rollers, but the way you can manipulate them here makes this a dice-roller I actually enjoy! Jeremiah—I enjoy a good dice roller, and this is a good dice roller. I love that there is much more than just dice-rolling going on here too! Firestone—I used to think the stealing mechanism was too powerful. I might still think it is, but after some thoughtful back-and-forth email discussion with the designer, I'm coming around. I never thought it was enough o a problem to keep someone from playing. Jeremiah—I never had a problem with it. I felt thematically it was perfect. Maybe stealing isn't the proper term. It's more of an "I made a better object than you did so mine got accepted by the king. Maybe you shouldn't produce such sub-standard wares and you wouldn't have to worry about this sort of thing happening, and no, you don't get a consolation prize for under performing!" mechanic. Or you could just say it's stealing. Firestone—I can't really comment on components since what we played was a prototype version, but I LOVE the artwork I've seen so far on this. It's cool, colorful and evocative. I hope it reaches some stretch goals that allow them to produce some slick dice, too. Jeremiah—Yeah, I'm pulling for the cool dice. I like dice. I own a lot of them, and the dice in the prototype were sort of boring and smaller than standard dice. The artwork we're seeing on the Kickstarter page really puts the game over the top. Having pretty pictures on a card doesn't make it play any better, but lets face it: We're a visual culture, and those sort of ascetics make a difference. Jeremiah—I've played a handful of 2-player games now, and the game seems to benefit from multiple player interactions. It's still fun with only 2 , but it gets really fun with 3-4 players! Firestone—Yeah, I think more is better on this one. Some guys in the group played 2-player, but they thought it wasn't as good as multiplayer—which they'd also both played. Firestone Final Thoughts—My gaming group played this two times in a row the other night, and that almost never happens—even with published games, let alone a prototype. I play a lot of prototype and prerelease games, and this is one of the best I've played in a long time. I can say without hesitation: Put this on the table! Gamers! Nongamers! Youth groups! I think this would fit them all. Jeremiah Final Thoughts —There's a lot to like about King's Forge! From solid well thought out mechanics, down to the little details with some cool geeky references. It's those little touches that make a big difference when you're sitting at the table. I've had a lot of fun with this one! The theme is cool, and completely friendly to any group of folks you'd want to play with! Without a doubt I recommend you put this on the table! You can check out our video review below. 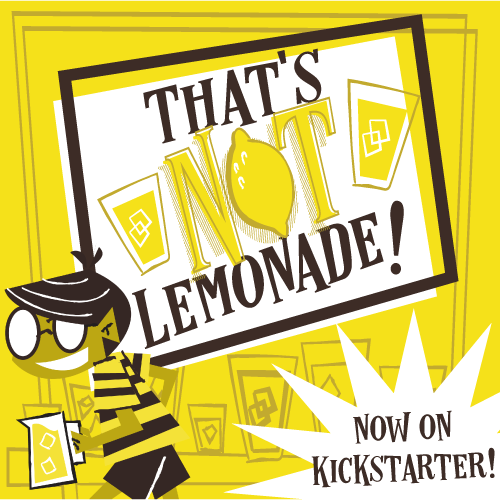 And head over to the Kickstarter page to jump in on this one! Thanks for reading!